PIDA 2019 Finalist, Beverage and Sustainable Packaging Design: PACT Group for the New Zealand brand Lewis Road Creamery PCR 100% recycled PET milk bottle range. PIDA 2019 Finalist, Beverage Category: Moonuka Milk Limited for the world’s first Milk and Mānuka Honey beverage designed in New Zealand in an 'old-fashioned' shape aseptic PET milk bottle with a removable PET shrink sleeve. PIDA 2019 Finalist, Domestic & Household Category: OF Packaging for the Kookaburra Worm Farms flat bottom bag with perforated side gussets. PIDA 2019 Finalist, Domestic & Household: Nulon Products Australia & Caps and Closures for the Nulon EZY-SQUEEZE fluid transfer system, which replaces the traditional rigid packaging with a flexible pouch and applicator that has made accessing hard-to-reach fill points on a car quick and easy. PIDA 2019 Finalist, Save Food Packaging Design and Accessible Packaging Design: Flavour Creations for its pre-thickened ready-to-drink (RTD) product, which is shelf stable with 12 months shelf-life when unopened. PIDA 2019 Finalist, Accessible Packaging Design: SPC Ardmona for its SPC ProVital Easy-Open Diced Fruit in Jelly range, designed for all consumers to open, including those with reduced fine motor skills, dexterity and strength. On-pack communication is clear and legible to all. PIDA 2019 Finalist, Save Food Packaging Design: Plantic Technologies for the Plantic RV material that was designed for Moana seafood company to be able to supply fresh fish to the online meal delivery company ‘My Food Bag’. PIDA 2019 Finalist, Beverage: Shine Drink for its custom tall and thin 400ml bottle, which conjures "thoughts of health and wellbeing" through bottle shape and the shrink sleeve label design. PIDA 2019 Finalist in the Health, Beauty & Wellness Category: Impact International's Craig tube. PIDA 2019 Finalist, Food: OJI Fibre Solutions for Turks Poultry Farm packaging to hold 6kg of chicken in a hand-erected case and designed to be interchangeable with the 12kg cases to fit in mixed pallets. PIDA 2019 Finalist, Label & Decoration: Currie Group for its new transformational printing technology for packaging that showcases high-end printing, finishing, coding, marking and AR technology driving awareness to The Australian Rhino Project (TARP). PIDA 2019 Finalist in the Health, Beauty & Wellness Category: Retreatment Botanics skincare range. PIDA 2019 Finalist, Sustainable Packaging Design: Woolworths, for replacing plastic trays with pulp based trays nationally into all stores for over 50 of their in-store bakery products. PIDA 2019 Finalist, Save Food Packaging award: Hazeldene's Chicken Farm & Sealed Air for Cryovac Darfresh on Tray vacuum skin technology. PIDA 2019 Finalist, Food and Sustainable Packaging Design: Punchbowl Packaging for Kaituna Blueberries peel-able, re-sealable, tamper-proof top seal fibre punnets. PIDA 2019 Finalist, Food category: Don KRC, a Division of George Weston Foods, for Just Add Don convenient stand-up pouch. 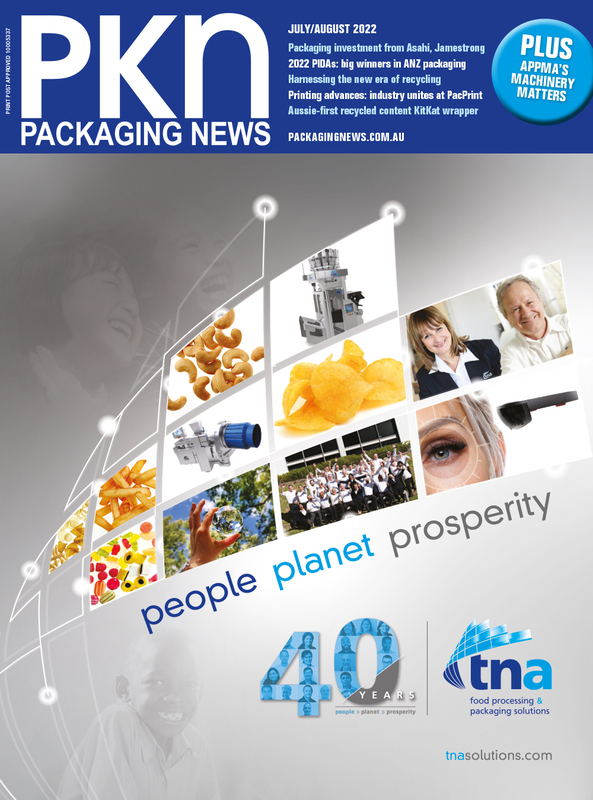 Australasia's peak packaging awards programme – the Packaging Innovation and Design Awards – has released the highly anticipated list of company and individual finalists across eleven categories, which represent the cream of the crop in packaging design innovation and industry contribution for 2019. The Australasian Packaging Innovation & Design Awards (PIDA) recognise companies and individuals making a significant difference in their field across Australia and New Zealand. The PIDAs, which are are coordinated by the Australian Institute of Packaging (AIP) and Packaging New Zealand, are the exclusive feeder program for the prestigious WorldStar Packaging Awards. The 2019 PIDA winners will automatically be eligible for entry into the 2020 WorldStar awards competition. The programme comprises 11 awards in total. There are company awards for five sector categories (food; beverage; health, beauty & wellness; domestic & household; and labelling & decoration), plus three special awards for sustainable packaging design; save food packaging design and accessible packaging design. In addition, there are three awards categories recognising individuals: Young Packaging Professional; Industry Packaging Professional and the Packaging New Zealand Scholarship. In the sector categories, judges said they looked for entries that displayed innovativion in: design and thinking; technology and/or material use; benefit to consumers; functional and /or convenient elements. They also took into account design and cost factors between standard packaging and premium/promotional packaging. It was recommended that the submissions showcase an innovative solution designed either in collaboration or for an existing customer or market. * Denotes a WorldStar Packaging Awards category. The Packaging Innovation & Design of the Year Award – Beverage Category will recognise organisations have designed innovative packaging and/or materials, within packaging and processing for liquid or dry tea, coffee, water and soft drinks including wine, beer and spirits. 2019 Finalists are: PACT Group for the New Zealand brand Lewis Road Creamery PCR 100% recycled PET milk bottle range; Moonuka Milk Limited for the world’s first Milk and Mānuka Honey beverage designed in New Zealand in an 'old-fashioned' style aseptic PET milk bottle with a removable PET shrink sleeve; Stay Tray for a reusable drink tray that is designed with 100% recycled material sourced from Australian businesses to reduce single use; and Shine Drink for its custom tall and thin 400ml bottle which "conjures thoughts of health and wellbeing through bottle shape and the shrink sleeve label design". PIDA 2019 finalist in the food category: Punchbowl Packaging for Kaituna Blueberries peel-able, re-sealable, tamper-proof top seal fibre punnets. The Packaging Innovation & Design of the Year Award – Food Category will recognise organisations that have designed innovative packaging and/or materials, within food packaging and processing including fresh, frozen or other sectors. Finalists are: Danone ELN NZ Supply Point for its sachet multipack for Aptamil and Karicare Infant Formula ranges; OJI Fibre Solutions for RJ’s Licorice open top and open front SFP that was designed to handle export from NZ to AUS as well as stacking from pallet displays straight into supermarkets; Don KRC, a division of George Weston Foods, for its Just Add Don convenient stand-up pouch; Punchbowl Packaging for the Kaituna Blueberries peel-able, re-sealable, tamper-proof top seal fibre punnets; OJI Fibre Solutions for Turks Poultry Farm packaging that holds 6kg of chicken in a hand-erected case and designed to be interchangeable with the 12kg cases to fit in mixed pallets; OF Packaging for the Pacific West baking pouch, which is entirely oven-safe and houses the seafood product. The Packaging Innovation & Design of the Year Award – Health, Beauty & Wellness Category will recognise organisations that have designed innovative packaging and/or materials, within cosmetics, toiletries, personal hygiene, supplements, vitamins, perfumes, hair body and oral care. This award also covers packaging of all medicines including over the counter medicines, medical equipment packaging. 2019 Finalists are: OJI Fibre Solutions for EcoStore gift packs that hold product in place in smaller, lighter, eco-friendly 100% recyclable and compostable boxes; Retreatment Botanics skincare range, which is inspired by Gaia Retreat & Spa owner Olivia Newton-John who wanted to see a fully-sustainable skincare range in terms of ingredients, primary and secondary packaging; Impact International for the Sarah, Craig and Margorie 100% recycled PE and sugar cane PE tubes; and PACT Group for the New Zealand’s Mix Ltd Essano rPET shampoo range. The Packaging Innovation & Design of the Year Award – Domestic & Household Category will recognise organisations that have designed innovative packaging and/or materials, packaging within domestic and household items, toys, stationery, gifts, clothing, garden equipment, decorating. This category also covers packaging of all electrical items. 2019 Finalists are: Nulon Products Australia & Caps and Closures for the Nulon EZY-SQUEEZE fluid transfer system which replaces the traditional rigid packaging with a flexible pouch and applicator that has made accessing hard-to-reach fill points on a car quick and easy; OJI Fibre Solutions for Dynex Extrusion case that is sold into hardware stores in New Zealand but is also ready-to-go once a customer/builder takes it home to use; OF Packaging for the Kookaburra Worm Farms flat bottom bag with perforated side gussets. PIDA 2019 Finalist, Label & Decoration: Currie Group for its new transformational printing technology for packaging. The Packaging Innovation & Design of the Year Award – Labelling & Decoration Category is designed to recognise the addition of content to a pack which creates a unique or innovative appearance, function or communication. This may include labels, sleeves, tags, coding/markings, etching, directly applied inks or by any other similar process. 2019 Finalists are: Currie Group for its new transformational printing technology for packaging that showcases high-end printing, finishing, coding, marking and AR technology driving awareness to The Australian Rhino Project (TARP); and Metalprint Australia for Chobani Australia Spooky Vanilla Ghost Pouch. PIDA 2019 Finalist: Woolworths, for replacing plastic trays with pulp based trays nationally into all stores for over 50 of their in-store bakery products. The Sustainable Packaging Design Special Award is designed to recognise companies that have developed innovative packaging or processing solutions that incorporates sustainability considerations. Elements would include Social, Material, Source Reduction, Energy and Recovery. 2019 Finalists are: Detpak for the RecycleME system that provides a sustainable solution for takeaway cups; PACT Group for the New Zealand’s Mix Ltd Essano rPET shampoo range; Impact International for the Sarah, Craig and Margorie 100% recycled PE and sugar cane PE tubes; Punchbowl Packaging for the Kaituna Blueberries peel-able, re-sealable, tamper-proof top seal fibre punnets; Ranpack for its thermal paper packaging solution; PACT Group for the New Zealand brand Lewis Road Creamery PCR 100% recycled PET milk bottle range; Multivac & Greenham for Cape Grim Beef paperboard skin packaging; Plantic Technologies for the NEAT Meat Tray using PLANTIC RV for skin packaging; Storopack Australia for its PAPERPlus Classic Grass paper packaging; and Woolworths for replacing plastic trays with pulp-based trays nationally into all stores for over 50 of their in-store bakery products. The Save Food Packaging Design Special Award is designed to recognise companies that have developed innovative and sustainable packaging solutions that minimises food losses and food waste. 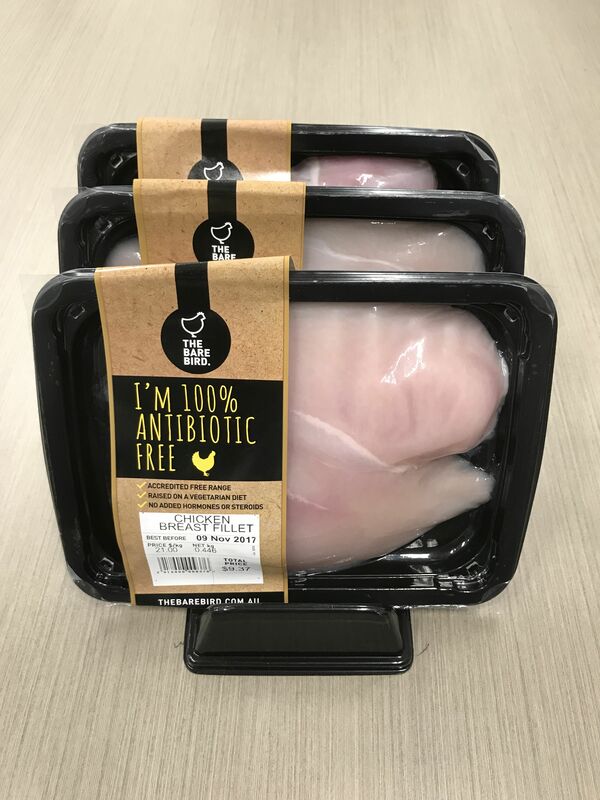 PIDA 2019 Finalist, Save Food Packaging Design: Hazeldene's Chicken Farm & Sealed Air for Cryovac Darfresh on Tray vacuum skin technology. Hazeldene's Chicken Farm & Sealed Air for Cryovac Darfresh on Tray vacuum skin technology, which has been engineered to address food safety. It offers 25% extension of shelf life over the previously used Modified Atmosphere Packaging (MAP) format and improved on-pack communication. The Hazeldene design project included a range of design features to reduce food waste and includes the tear tap peelable top film, which allows for easy access to the product. The top film is tough enough to withstand possible bone puncture marks. The serving size had been optimised for two people. The skin packaging format allows the pack to be frozen and thawed without product degradation and Best Before date is clearly shown on the packaging. Plantic Technologies for the Plantic RV material that was designed for Moana seafood company to be able to supply fresh fish to the online meal delivery company ‘My Food Bag’. The fish had to be protected to maintain freshness for home deliveries, extend the shelf life of fresh fish from the day that the fish were caught and packed until delivery to warehouse to provide Moana with greater flexibility in production. Flavour Creations for its pre-thickened ready-to-drink (RTD) product, which is shelf-stable with 12-months' shelf-life when unopened and carries Best Before dates that are clearly legible. When the RTDs are packaged in the new Dysphagia Cup and Cup Holder, they are designed to reduce food wastage by enabling better motor control of the drinking process, improving grip, stability and ensuring the ability to consume the full contents. SPC Ardmona for its SPC ProVital Easy-Open Diced Fruit in Jelly range that is designed for all consumers to open, including those with reduced fine motor skills, dexterity and strength and on-pack communication is clear, crisp and legible for all. This design achieved an ISR +8 accessibility rating (i.e. the product is universally easy to open, with 95% of the population able to open the pack without tools). Flavour Creations for its pre-thickened ready-to-drink (RTD) product packaged in the new Dysphagia Cup and Cup Holder designed to specifically increase rates of hydration and decrease rates of malnutrition for residents/patients with Dysphagia. Along with the reusable holder and plastic over seal, the snap fitting portion control cup has a large overhanging tab that is textured and clear ‘peel back’ wording to make it very obvious to the consumer how to open the product. PIDA 2019 Finalist, Save Food Packaging Design and Accessible Pcakaging Design: Flavour Creations for its pre-thickened ready-to-drink (RTD) product, which is shelf stable with 12 months shelf-life when unopened. Moana New Zealand & Sealed Air (New Zealand) for Cryovac® Grip and Tear® (including 'small tab') was designed to foster ease of use to packaged meat, poultry, seafood products for processors, food service and retail markets. This accessible packaging design enables convenient product access using a packaging design that is simple and intuitive for consumers to use (irrespective of their age or functional abilities). Previously these difficult to open items required opening tools, which could easily cause injuries. The Grip and Tear feature means the packs can now be easily opened by a simple hand action. Sealed Air have undertaken significant design innovation in the development of the Grip and Tear feature to meet both the food handling and food protection requirements for the range of products proposed for the packaging format. Campbell Arnott’s for its redesign of 10 SKUs from its catering (portion control packaging) range. Key features of the Campbell Arnott’s packaging include serrated edges on both sides of the pack to reduce the force required to tear the corner of the packaging open and providing consumers a clear message on how to open the pack. Arnott’s received an ISR +8 rating for this new style of packaging. 2019 Finalists are: Terry Waterson FAIP, Director, Metalprint Australia; Elizabeth Kasell, Chief Executive Officer, RED Group; and Joseph Foster, Co-Founder & Director, OF Packaging. 2019 Finalists are: Poonam Patel, Senior Packaging Technologist, Goodman Fielder; Tunde Lovestyan, Sales & Business Development Manager, Punchbowl Packaging; and Saurabh Mishra and Packaging Development Technologist, Griffins Foods Limited. 2019 Finalists are: Lily Barnett, Program Coordinator, APCO; Clement Jamet, Packaging Development Technologist, Danone ELN; and Karunia Adhiputra, Packaging Technologist – Technical & Production, Nestle Australia. Coordinated by the Australian Institute of Packaging (AIP), and Packaging New Zealand the 2019 Australasian PIDA winners will be announced at a gala dinner on the 30th of April at SOFITEL Wentworth, Sydney, NSW, Australia. The AIP acknowledges the following sponsors: Wellman Packaging, Auspouch, Currie Group and HP, Esko, Kodak Australia, Mosca, Qenos, Sealed Air, Caps and Closures, Omniverse Foster, EcodDex, Empauer, Arthritis Australia, Arthritis New Zealand. The gala awards evening will coincide with the 2019 AIP Packaging Technical Forum and the Women in Packaging Breakfast Forum sponsored by tna Solutions and Schutz Packaging Systems.